The 7.9 magnitude earthquake that rumbled off the coast of Alaska on Tuesday affected well water levels 3,800 miles away in Florida, according to the United States Geological Survey. 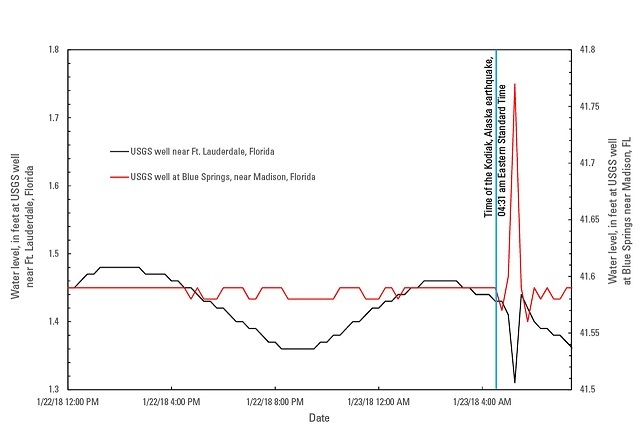 Data from USGS sensors show that water levels dropped from 1.42 feet to 1.31 feet at a well in Fort Lauderdale while water levels rose from 41.59 feet to 41.77 feet at a well in Blue Springs, Florida. Both wells quickly recovered to their original water levels following the change. USGS explained that underground water levels change due to contractions and expansions in the aquifer as seismic waves travel through the Earth. 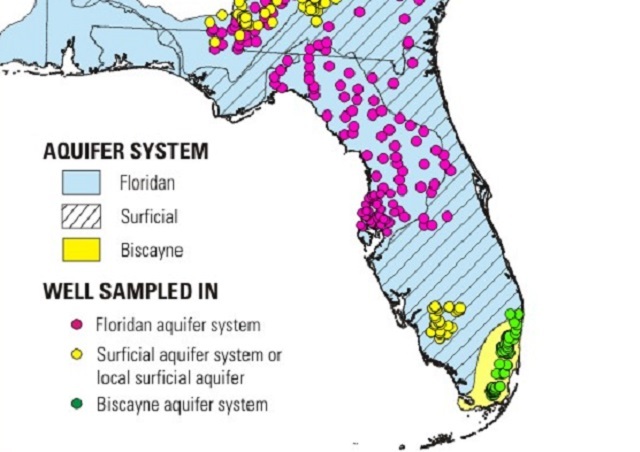 The change that occurred in the Florida wells after the Alaska earthquake is known as an 'instantaneous water-level offset', or step, which may be either an increase or a decrease and may occur near or far from the epicenter. USGS says that this is the most common type of observed ground-water response. USGS noted that the depth of the well, whether the aquifer is confined or unconfined, and well construction influence the degree of water-level fluctuations in wells in response to seismic waves.